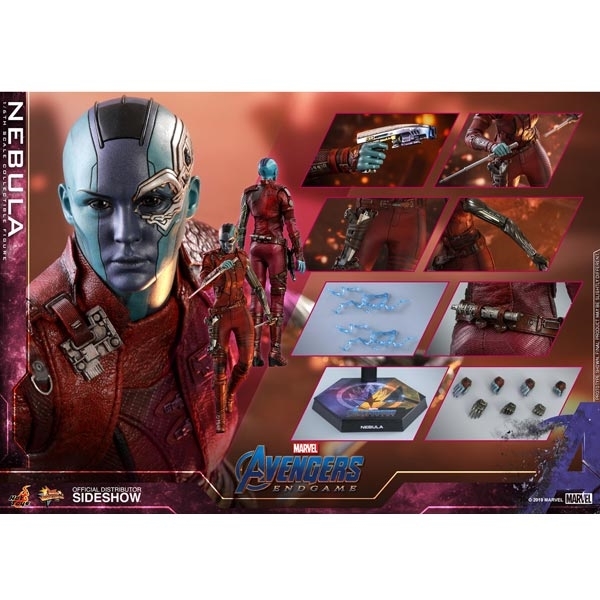 Earth Mightiest Heroes failed to stop Thanos from collecting the Infinity Stones, which he used to wipe out half the universe’s population. 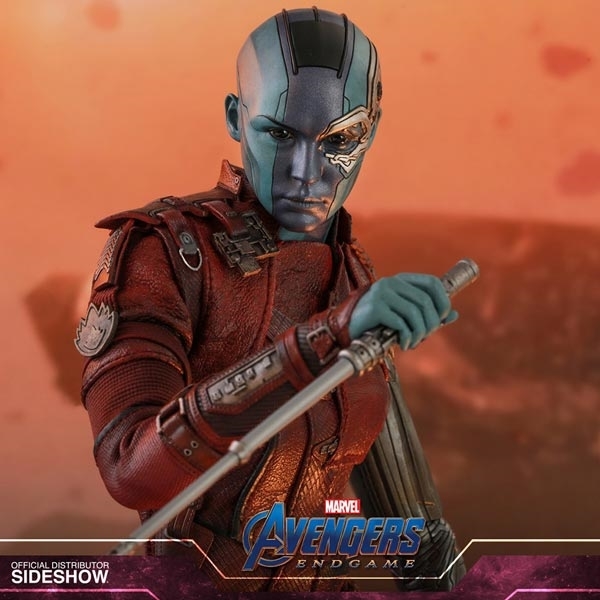 Nebula was among those who survived after the events of Avengers: Infinity War, leaving her and Rocket as the only remaining Guardians alone on Titan with Tony Stark. 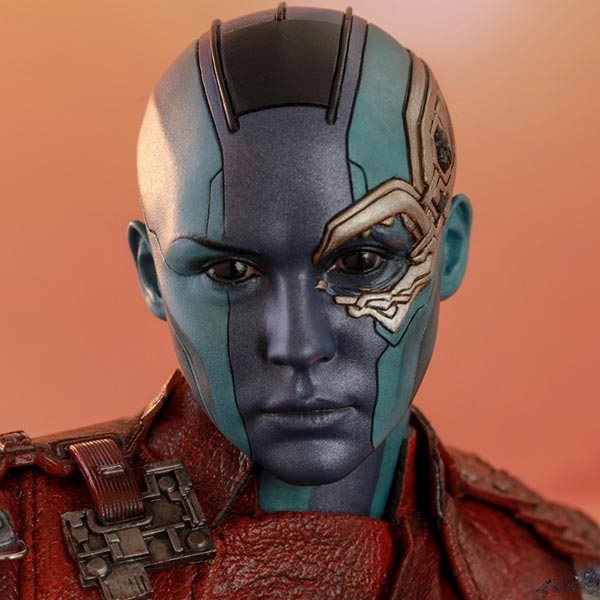 She will have no choice but to work with others and finally see the true value of family. 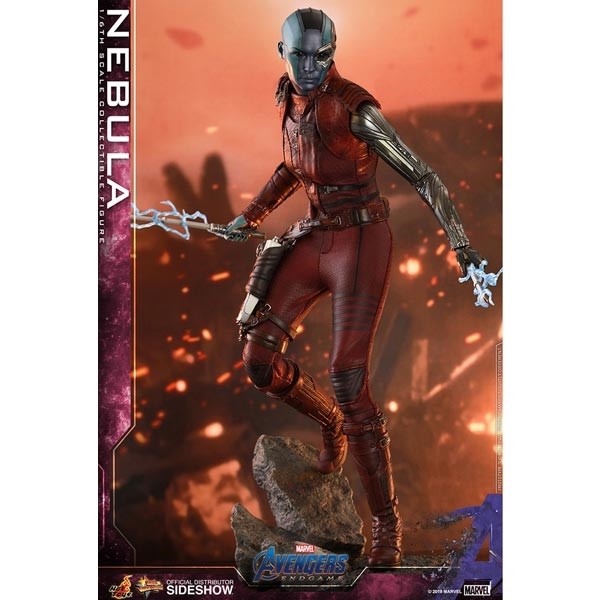 Longed for by many Marvel fans, Sideshow and Hot Toys are excited to officially present Gamora’s adopted sister - Nebula in sixth scale collectible figure from the upcoming Avengers: Endgame. The figure is carefully crafted based on the image of Nebula in the movie with meticulous workmanship, featuring a newly developed head sculpt with prominent cybernetics details, a newly developed body highlights Nebula’s prosthetic arm revealing intricate mechanical parts, perfectly tailored Ravenger’s jumpsuit with fine textures, iconic weapons including blaster and batons, lightning effect accessory attachable to the baton, a movie-themed figure stand, and an interchangeable graphic card. 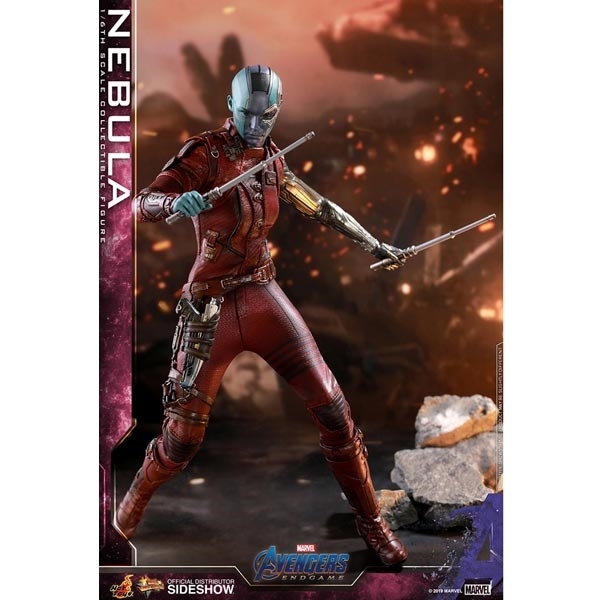 The Luphomoid assassin is waiting for you to bring her to your ever-expanding Avengers: Endgame collection!